One of the most beautiful spots on South Island and often regarded as the adventure capital of the world, Queenstown is a destination not to be missed during your visit to New Zealand. There are a whole host of fantastic things to do in Queenstown, from a thrilling bungee jump sure to get your heart racing to skiing the slopes of the nearby Remarkable mountains and scenic cruises on Lake Wakatipu. In this article, we’ll take you through some of the best ways to soak up the sights of Queenstown and the surrounding area, whether you’re after an adrenaline-fuelled adventure or something more leisurely and tranquil. Easily reached from Queenstown’s town centre, the Queenstown Hill trail is one of the more accessible walking trails in the area, with a gentle gradient, rewarding you with stunning views both along the way and atop Queenstown Hill. The trail begins by taking you through a Douglas Fir forest, and past a display of rock sculptures before opening up onto open grassland. The rest of the way, you will be able to enjoy views over Queenstown, Lake Wakatipu and the surrounding mountains. Take a picnic and enjoy the vistas from the top, where you’ll also find the Basket of Dreams sculpture. See Queenstown from the skies with a scenic flight over the town and the surrounding region, offering views that cannot be seen anywhere else. 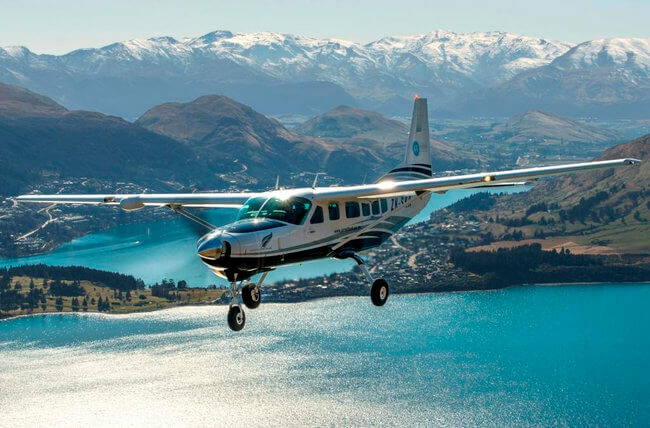 Air Milford operates 15-minute flights over Queenstown and beyond, collecting you from your hotel before you board either a 4, 10 or 13-seater plane ready for your aerial adventure. As well as flying over Queenstown itself, you’ll also take in many of the area’s famous sights during your flight, including Lake Wakatipu, the Remarkables, the Gibbston Valley wine region and the Shotover Canyon. 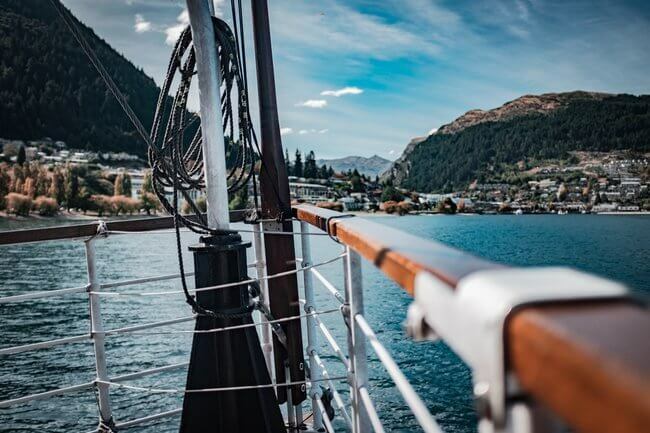 Enjoy a gentle and mesmerising cruise across Lake Wakatipu aboard the TSS Earnslaw, a historic steamship first commissioned over a hundred years ago. Operated by Real Journeys, who restored the almost-decommissioned Earnslaw in 1968, the cruise sees you pass stunning lakeside and mountain scenery before reaching the Walter Peak High Country Farm, where you can get a taste of real New Zealand rural life on the farm tour. The steamship is equally as impressive as the views, as you can see the working steam engines on board as well as the museum, sharing stories from the ship’s century-long past. 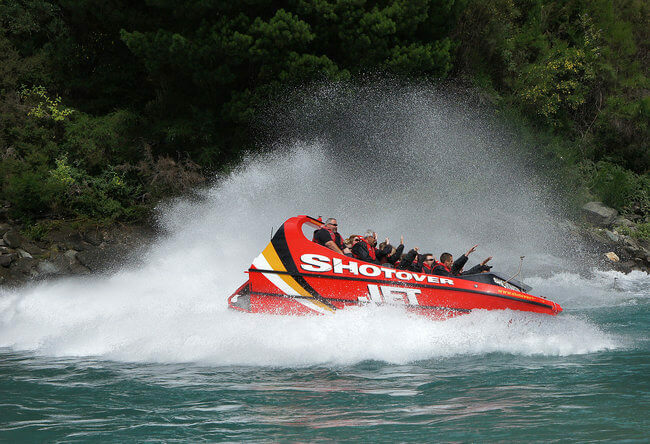 7km north of Queenstown at Arthur’s Point, amongst the Shotover River Canyons, you can enjoy a ride along the Shotover River and through the canyons at rip-roaring speed on the Shotover Jet. Travelling at speeds of up to 85km per hour, hold on tight as the driver skilfully navigates the boat past rocky outcrops, boulders and crags and through the narrow canyons. A thrilling boat ride to remember, this is certainly a different way to see what the Queenstown has to offer. The complementary shuttle service can collect you from Queenstown, taking you the few miles north to the big red boat. A one-of-a-kind experience not to be missed while you’re in Queenstown, the Skyline Gondola and Luge offers two different kinds of adventure both up and down the nearby Bob’s Peak. First of all, you’ll hop aboard the Queenstown Gondola, the steepest cable car in the Southern Hemisphere, for the climb up the mountain and stunning views along the way. During your ascent, you’ll be able to see Coronet Peak, Walter and Cecil Peak and The Remarkables with 220° views from the cable car. 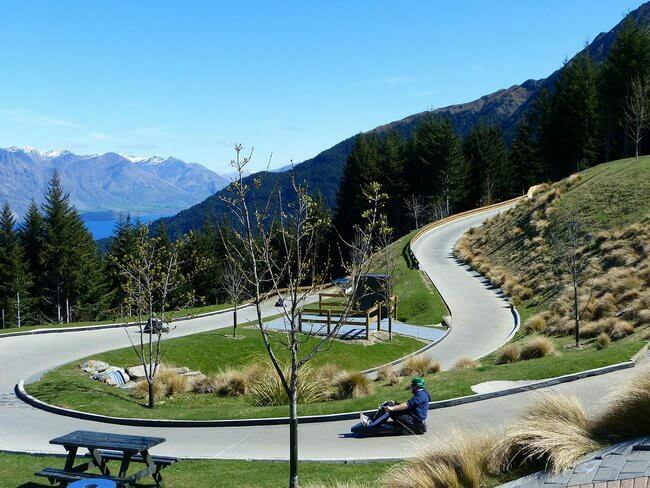 After you’ve taken in the views from the top, it’s time to zip back down the mountain into Queenstown with the thrilling Luge ride. The purpose-built Luge carts offer the riders complete control to navigate back down the hill as they wish – zoom down the hill or take it slow as you take on the track’s 800 metres of tunnels, dippers and banked corners. Images by PublicDomainPictures via Pixabay, Nicolas J Leclercq via Unsplash and Bernard Spragg and Air Milford via Flickr.